You can now convert your laptop or PC into a touch screen with the help of a new device called ‘AirBar‘ by Neonode. What is AirBar and How does it Work to Turn Your Simple Laptop Into Touchscreen Laptop? AirBar is a small plug-and-touch bar that attaches magnetically to the bottom of your laptop’s display. When connected to your laptop via an available USB port, AirBar projects an invisible light field on the surface of your display that makes it possible to “touch” the screen and interact with Windows® 8 and 10 gestures. The movements and gestures are then translated into corresponding inputs, making you able to use all the gestures including pinching, swiping, zooming, tapping and scrolling around with your hand, in the same way, like on a touchscreen PC. You can unplug it when you want to, best of all there is no menu or no installation. To connect an Android phone or tablet to a TV you can use an MHL/SlimPort (via Micro-USB) or Micro-HDMI cable if supported, or wirelessly cast your screen using Miracast or Chromecast. In this article we'll look at your options for viewing your phone or tablet's screen on the TV. 1.Make sure that your phone and your TV support HDMI connectivity. Consult your phone manual or contact Samsung to verify if your phone supports this feature. High-end Galaxy units such as the S series can be connected to HDMI. 2.Purchase an HDTV adapter. This type of adapter lets you connect your phone to your TV and is readily available in any Samsung stores. 3.Connect the HDMI cable from your TV to the HDTV adapter. Plug the smaller end of the HDTV adapter into your phone's charging port. 4.Obtain your phone’s charger and connect it to the HDTV adapter. The adapter needs external power in order to link your TV and Galaxy phone together. Plug the charger into the dedicated port on the HDTV adapter. 5.Go to your TV’s HDMI channel. Switch the channel of your TV so that the display output comes from the HDMI port the adapter is connected to. Once all the connections are done, your phone’s home screen will be immediately displayed. You can now start viewing your phone's display on your TV screen. 1.Obtain a Samsung Wireless All Share Cast Hub. This device will allow you to mirror your Galaxy Phone's screen onto your TV screen - through a wireless connection. You can purchase this device online or in a technical store. You can also use a a Samsung Blue Ray player with the All Share Cast feature. Alternatively if you have a Samsung Smart TV, you don't need a third party device. Just set up the Wi-Fi on your TV - the same Wi-Fi network the phone is accessing - and mirror your Galaxy phone's screen onto the TV screen. 2.Set up your All Share Cast Hub device. Whether you are using the Hub or the Blue Ray player, you will need to connect it to the television. The Hub connects to the TV with an HDMI cable. The Blue Ray should have a compatible cable included. Once your device is connected, follow the instructions in its manual to connect it to your Wi-Fi network. 3.Navigate to your Galaxy's settings. The icon resembles a gear, tap on it to open. 4.Mirror the screen to the television. Tap on Connections, then Screen Mirroring. A list of devices should appear on the list. Choose the device you want to use (the Blue Ray player or the Hub). Your screen should automatically appear on the TV screen. 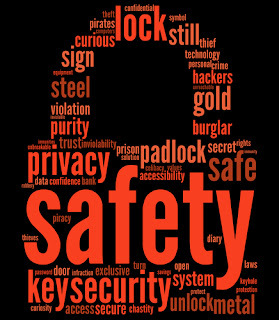 Now a days everyone using PC/LAPTOP/COMPUTER even small kids using it.But,the question is whether we are using it in right or safety way.For that purpose only i started this post to ensure our safety to keep our computer at safety and what not to do to maintain this safety.Please read it fully and keep it in mind. 1.Always checking log out option when use any public computer. 2.Always backup your important data and files. Backup’s save unexpected damaged. 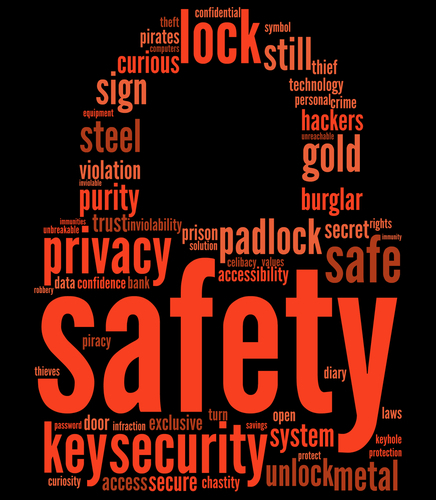 3.Select strong password with letters, numbers,and special symbol for safety your computer. 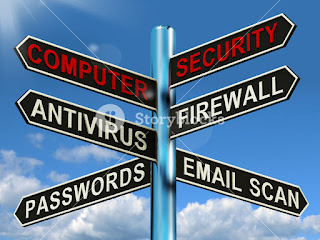 5.Use security e-mail address and avoid any unknown voluntary emails. 6.Avoid any remote panel connecting. 7.Keep update your usual software and security patch. 8.Protect complex data for hard disk. 10.If meet any Message ready carefully that what is the situation. 11.Install registered anti-virus and scans regularly. 1.Don’t click password remain option when login in PC. 2.Don’t use any sharing software in computer. 3.Avoid clicking browser pop-up option. 4.Don’t control permission your computer any unsafe area. 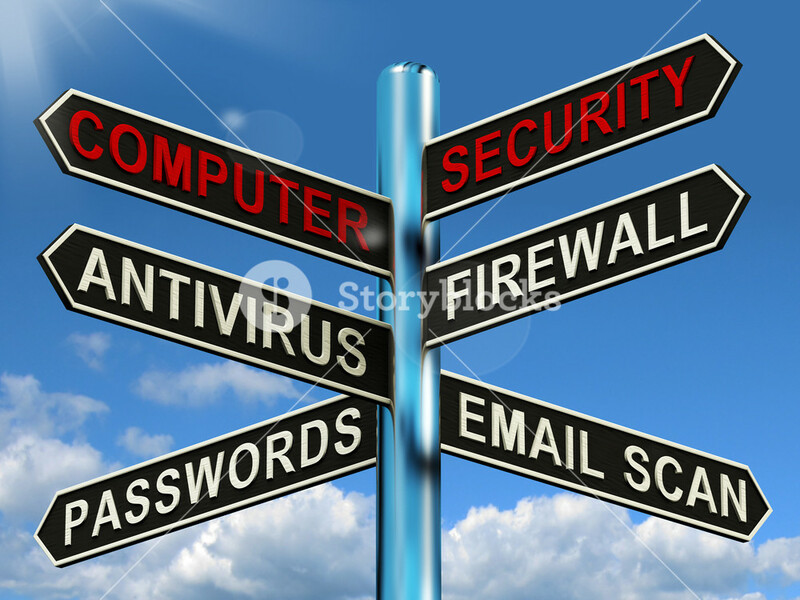 6.Never open email or online banking account from any unknown device. 7.Don’t share any personal information or data like as name, home address, email address. 8.Don’t check your online banking. 9.Never open unknown email attachment file. 11.Don’t share your account password for any reason. 12.Never break government law rules. Guys,now a days technology updated daily with new improvement but however there is some disadvantages causing if we are alert we can easily overcome that. Kindly share this post to others.Your comments are welcome. "The device you connected to this computer malfunctioned, and Windows does not recognize it." "One of the devices attached to this computer has malfunctioned, and Windows does not recognize it. For assistance in solving this problem, click this message." "Unknown drive, port reset failed." "Unknown device, descriptor request failed, error code 43." "Drive did not load successfully." Insert the stick on another port to see if it can work. 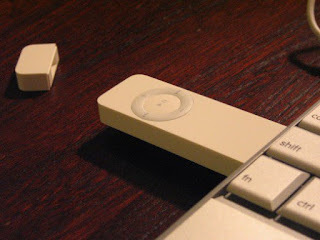 Use the storage gadget on a computer with the right bit. Use the stick on a device which encrypted it. Use another cable or interface to see if it can work. Enter a missing drive letter. If you are just starting to use memory sticks, expect to see these messages popping up in the right bottom corner of your computer screen. The flash drives get malfunctions with time and use, and can stop working completely. The messages usually indicate that your internal storage device or computer has some issues that need to be solved. "This USB device can perform faster if you connect it to a high-speed USB 2. 0 port. For a list of available ports, click here" (common in Windows 7). "Generic volume cannot be stopped right now." "The disk is write protected, remove write protection or use another disk." "Pen drive is detected, but not showing in My Computer." "Please insert disk into drive." "Please insert a disk into drive windows." "Can’t format the drive, quit any disk utilities or other programs that are using this drive, and then try formatting again." "Please insert disk into removable disk." "Format Disk" and of course." "USB Device Not Recognized or Malfunctioned." You may have to forget about your data storage gadget if you see some of these error messages on your screen, or if your USB flash drive is not showing up or not detected. Your drive could be dead, and the best thing to do is to recover data or files contained in it. 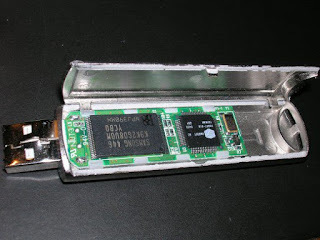 There are several ways to fix your pen drive based on the problem it has. Some of the problems are minor, but may give you a hell of a headache. Save yourself from unnecessary stress by learning numerous ways of repairing your small data storage equipment. The problem with your flash stick could be due to damaged port or slot. You can insert the pen drive in another port to see if it can work. In fact, this is what you should always try first when your storage stick has issues. You can then perform a USB port repair if you find this is the problem. To fix the port problem, follow this procedure: Start > Control panel > Hardware and Sound > Device Manager > Universal Serial Bus > Uninstall > Enter > Scan for hardware changes (click on the blue icon to reinstall). Your mass storage gadget could also be unrecognized because of using it in a computer with a different bit. If your drive was written by a 32 bit computer, it may not work on a 64 bit computer and vice versa. So know your computer bit in order to use the right stick. Let's face it, our phones aren't perfect. When they aren't running out of juice, they are slow, won't power on, or have problems connecting to the Internet. Hate that your phone makes every single person you've ever emailed though Gmail one of your phone contacts? Go to Settings > Account > Google. Toggle off the Contact option. Now your Gmail contacts won't sync with your phone. Numerous users have reported problems with the battery life of their devices. One of the easiest ways to prolong your smartphone's battery is to change your locations and brightness settings. Enter the settings menu, click on Location, and select battery-saving mode. As for brightness, you should avoid using auto-brightness and instead turn your screen down somewhere below halfway, or to a level that is acceptable for your eyes. Some phones, such as the Galaxy S5 and above, even include extra battery saving modes. For more tips, here are five ways to boost your Android's battery life right now. An app's cached data can be deleted by going to Settings > Apps, selecting a certain app, and choosing the Clear Cache option. Programs such as App Cache Cleaner and Clean Master, both of which are available for free from the Google Play store, can also be used to automate the process of clearing cache. For more information, visit this article for speeding up your Android device. Google Now can be a bit finicky. The best thing to remember is to be very specific with your commands. It gets easily confused if you don't. Need a little more help? Here are 20 tips for getting the most out of Google Now. Ensure that you are connected to the internet either through Wi-Fi or cellular, click on the unsent message, and click Resend. If the problem continues, try restarting your device or even installing a third-party messaging app. Certain Androids, like the Droid Turbo, can get really warm. Try not to use your phone while you're charging it and don't use high CPU-sucking apps, like Pokemon Go or Facebook, for long periods of time. If it starts getting warm, give your phone a break. If you don't do these things, and your phone still gets hot to the touch, then you may want to get it looked at by a professional. The experts I contacted said this could be a sign of a manufacture defect. There are numerous steps you can take to address problems with syncing. First, ensure that you are connected to the internet, and that the service you are trying to sync with, such as Google or Dropbox, isn't down. Double check that your password is correct and try syncing again. Apps can crash for all sorts of reasons. Is there an update available for either the app or your phone? If so, install it. If not, force close the app by swiping it away in the multitask menu (pictured above) and then reopen it. You may want to throw your phone against the wall when it begins to malfunction, but there isn't a need to panic. Most problems are fixed with a simple restart. Although if you physically damaged your phone or dropped it in water, you may have bigger problems on your hands. Have an old Android phone? Here are nine new things that you can do with it. The problem is probably a corrupt cache and all you need to do is clear it. Go to Settings> Applications> All Apps> Google Play Store> Storage and select Clear Cache. Restart your phone and the problem should be fixed. There may be two causes for your apps not downloading. First, go back to the last page on this list and try clearing Google Play store's cache. If that doesn't work, try wiping Google Play's history. The problem is probably a corrupt cache and all you need to do is clear it. Open the Google Play store and tap on the three lines in the upper left of the screen to open the app's menu. Choose Settings and tap on Clear local search history. If you use the default keyboard, you can get rid of autocorrect words you would never say or misspelled words that your keyboard has learned. All you need to do is long-press the suggestion and drag the word to the trash. Here's how. If your kids like to play with your phone and end up buying apps or in-game items, there's a simple solution. Go to the Google Play store, click on the three lines at the upper left-hand side of the screen to open the menu and tap on Settings. Then, tick the box for fingerprint authentication and choose For all purchases through Google Play on this device. With this setup, your fingerprint will be needed to make any purchases through Google Play. Every time you get a new app, a new icon is added to your home screen, which kinda defeats the quick access to your favorite apps that a home screen is supposed to offer. Rick Broida found a fix to that: Open the Google Play app, then tap Menu > Settings and clear the check box next to Add icon to Home screen. Rick has a few more tips for optimizing your Android, too. Switch between open applications in all versions of Windows. Reverse the direction by pressing Alt+Shift+Tab at the same time. Switches between program groups, tabs, or document windows in applications that support this feature. Reverse the direction by pressing Ctrl+Shift+Tab at the same time. Display the properties of the object you double-click on in Windows 95 and later. For example, doing this on a file would display its properties. Create a screenshot only for the active program window in all versions of Windows. For example, if you opened the calculator and pressed these shortcut keys, only the calculator window would be created as a screenshot. If just the Print Screen key is pressed the whole screen will be made into a screenshot. 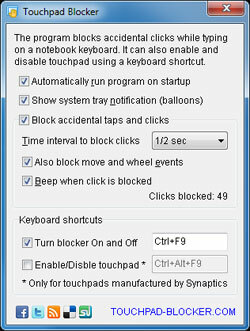 Open the Windows option screen for locking computer, switching user, Task Manager, etc. in later versions of Windows. Pressing Ctrl+Alt+Del multiple times will reboot the computer. Immediately bring up the Windows Task Manager in Windows 2000 and later. Open the Windows Start Menu in most versions of Windows. In Windows 8 this opens the Start screen and in Windows 3.x this would bring up the Task Manager. Switch between open applications on Taskbar in Windows 95 and later. Drops down the window control menu for the currently open Windows program in Windows 95 and later. Opens properties window of selected icon or program in Windows 95 and later. Will delete any file or other object without throwing it into the Recycle Bin in Windows 95 and later. 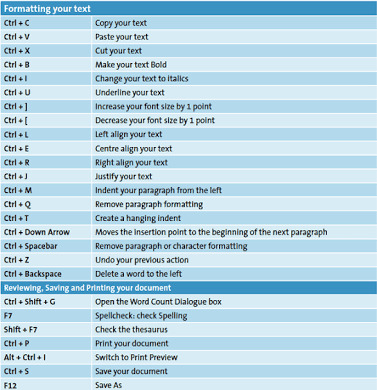 Below is a listing of keyboard shortcuts that use the keyboard function keys. See our what are F1 through F12 keys page for a full listing of what function keys do with all other programs. Activates help for current open application. If you're at the Windows Desktop, this will activate the help for Windows. Renames a highlighted icon, file, or folder in all versions of Windows. Starts find or search when at the Windows Desktop in all versions of Windows. In Windows 95 and later, F4 opens the drive selection or address bar when browsing files in Windows Explorer. Pressing Alt+F4 closes the current open program window without a prompt in all versions of Windows. Pressing Ctrl+F4 closes the open window within the current active window in Microsoft Windows. Only works in programs that support multiple windows or tabs in the same program window. While in Windows Explorer, F6 will move the cursor to different Windows Explorer pane or in Windows 7 browse available drives. Pressing F8 over and over as the computer is booting will start the computer in Safe Mode. Activates the File menu bar in all versions of Windows.